Reach out to this handy Travel Toothbrush Holder whenever you pack your bags for the next business or holiday trip. This travel toothbrush holder is made with food safe material and stores your toothbrush safely. Reach out to this handy Travel Toothbrush Holder whenever you pack your bags for the next business or holiday trip. This travel toothbrush holder is made with food safe material and stores your toothbrush safely. The suction cup behind the travel holder helps it to attach to a mirror or wall and you can conveniently reach out and use it. 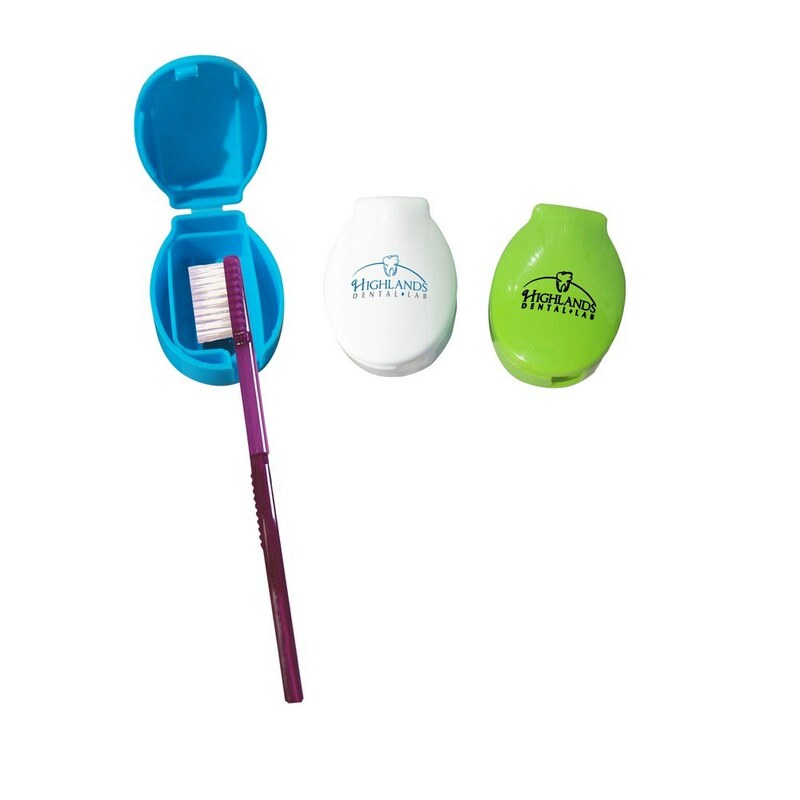 Imprint your company logo and message on this handy travel toothbrush holder and promote your branding in great style!